Suction Cups with Hooks. Buy online at Suction Cups direct. 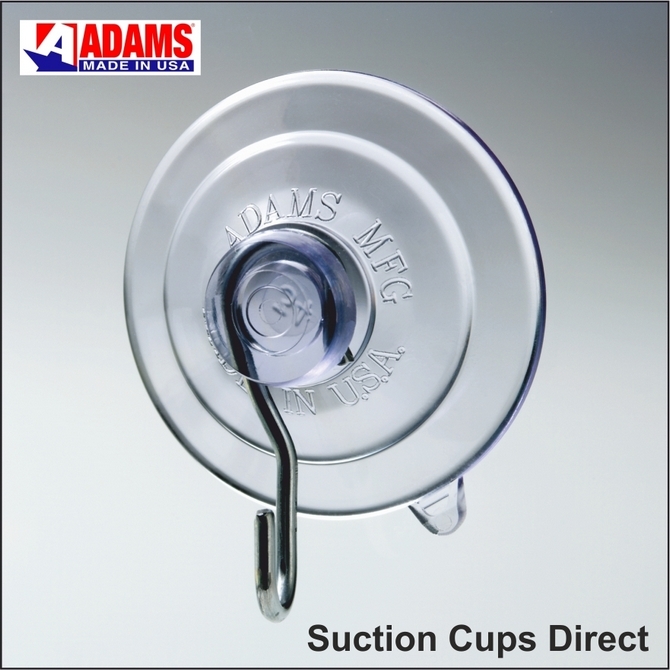 Adams suction cups with hooks will hang display posters, door or window signs, documents, calendars, keys, stained glass, thermometers, caravan products, car air fresheners etc. as their 47mm diameter size is rated to hold 3 pounds (1.36kgs) in weight. To ensure a strong fixing, apply suction cups with hooks to a dry, flat, clean, slick or shiny non porous, non textured surface like glass, mirrors, glossy plastic, plain glazed ceramic tiles, car body work etc. 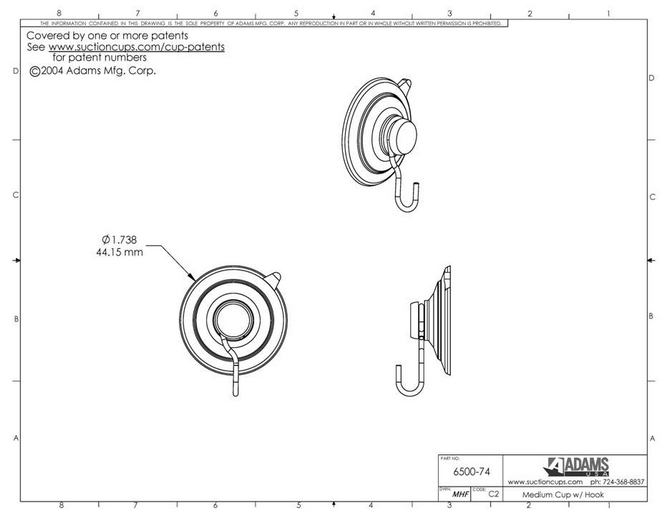 Use the quick release tab on the suction cup edge to remove or re-position when required. 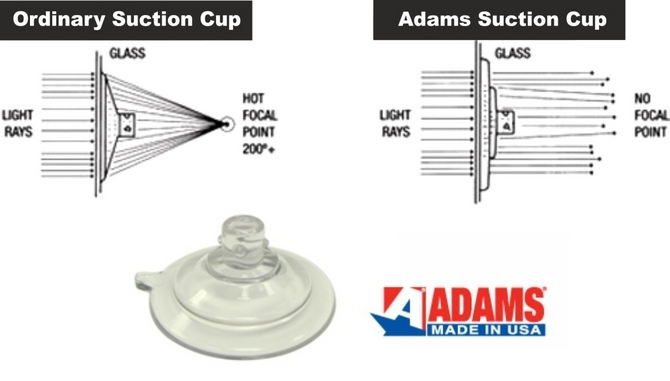 Adams Suction Cups with hooks will never yellow or turn brittle and may need to be "burped" periodically by pressing down on them to remove any air that may have seeped in over time.